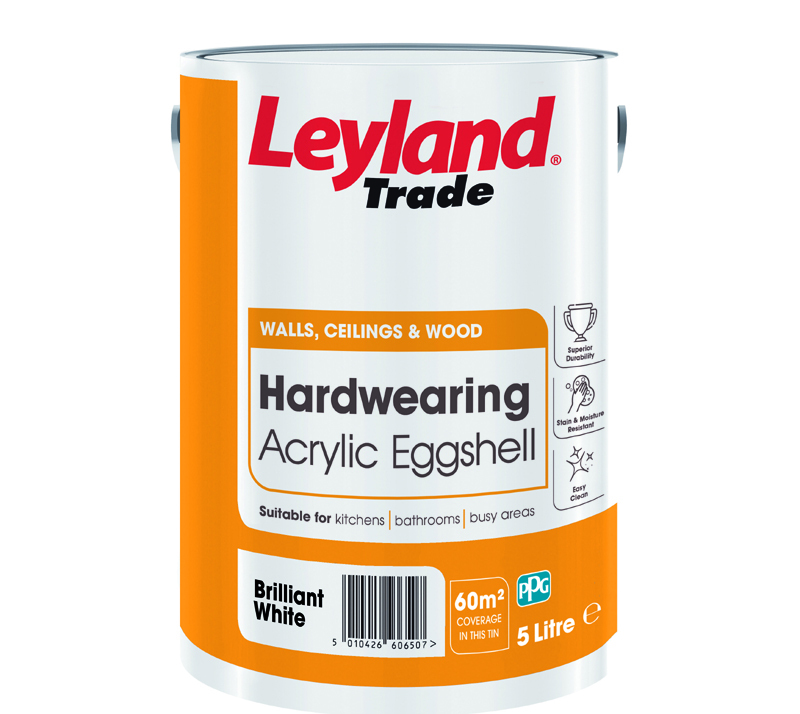 Leyland Trade Acrylic Eggshell has joined the brand’s popular Hardwearing range! With tough acrylic resin in the formulation, Leyland Hardwearing Acrylic Eggshell is extremely durable. Once dry it offers a washable finish to help the paint look new for longer. The paint is stain and moisture resistant and can be repeatedly cleaned, making it the perfect choice for high traffic areas – including kitchens, bathrooms and hallways.